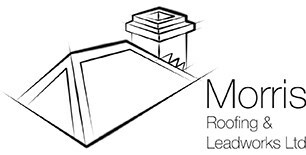 Morris Roofing & Leadworks Ltd - Roofer based in Bletchley, Buckinghamshire. Morris Roofing & Leadworks ltd are a family run business that undertake all areas of pitched and flat roofing. we cover a number of disciplines such as slating, tiling, specialist leadwork, flat roofing and chimney repairs. We aim to provide our customers with a top quality service from the first communication to the completed job. We have been operating in and around Milton Keynes for over 10 years and have built a strong reputation, all staff and vehicles carry the Morris roofing & leadworks brand operating to the highest standards of health and safety and NHBC standard quality of work.